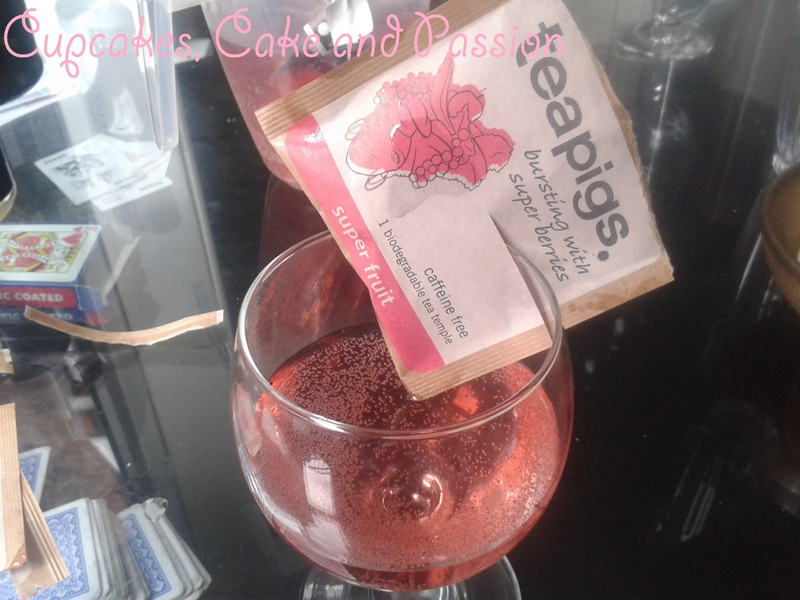 I know it's a little odd doing a drink on a baking blog but I was kindly asked by the teapigs crew to do a summer drink. I was a little hesitant and said: "I do bake and I do drink (on occasion) but rarely at the same time (very bad results), I'm not sure if I could just come up with a cocktail recipe just like that." 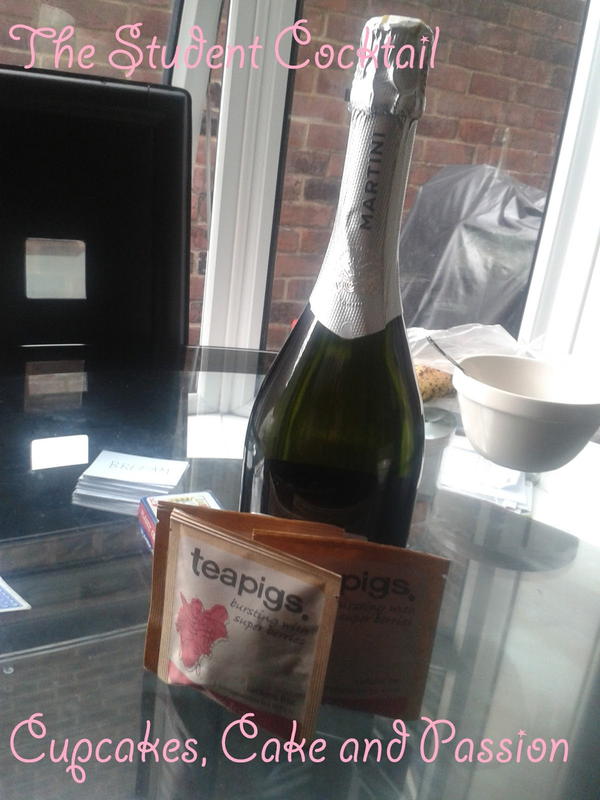 The lovely Becky from teapigs told me not to worry and just do what could with the teas they sent me. in my boyfriends kitchen when our friend nicknamed, Doocky Dan decided to get out a bottle of sparking wine. Not champagne, but the cheap and cheerful sparking wine. Nothing wrong with that, its just a little dry for my taste. That's when the cogs in my head began to whirl. 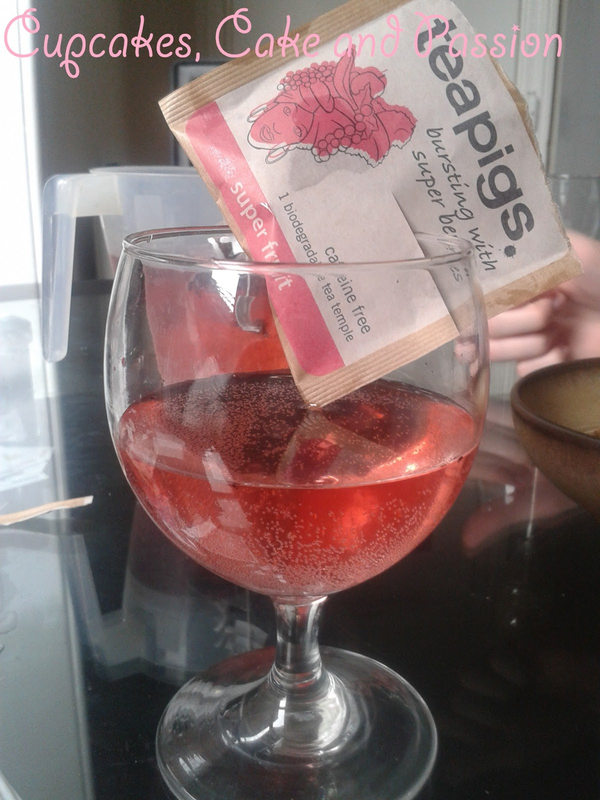 "Do you think that we can put these Super Fruit teabags into our glasses of sparkling?" "Why not?" Was his response. 1. 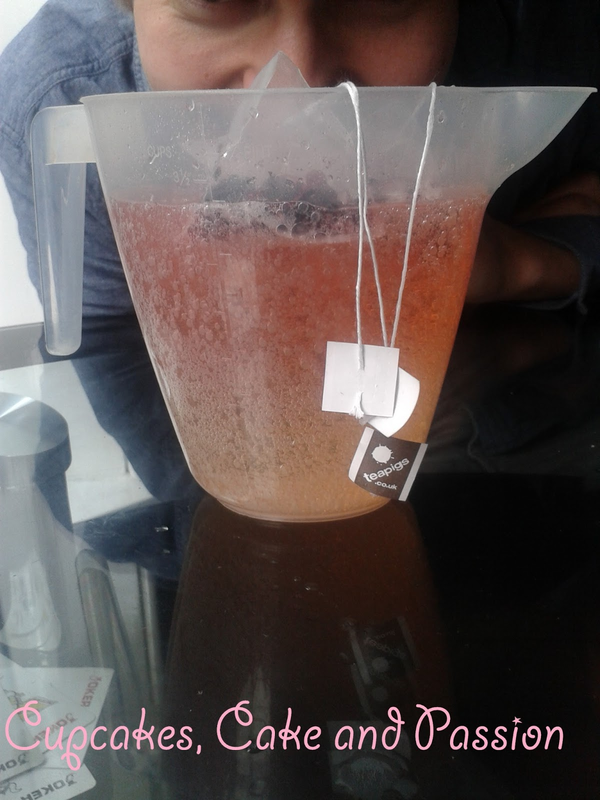 Place teabags into the measuring jug and pour the wine over the tea bags. Step 1. 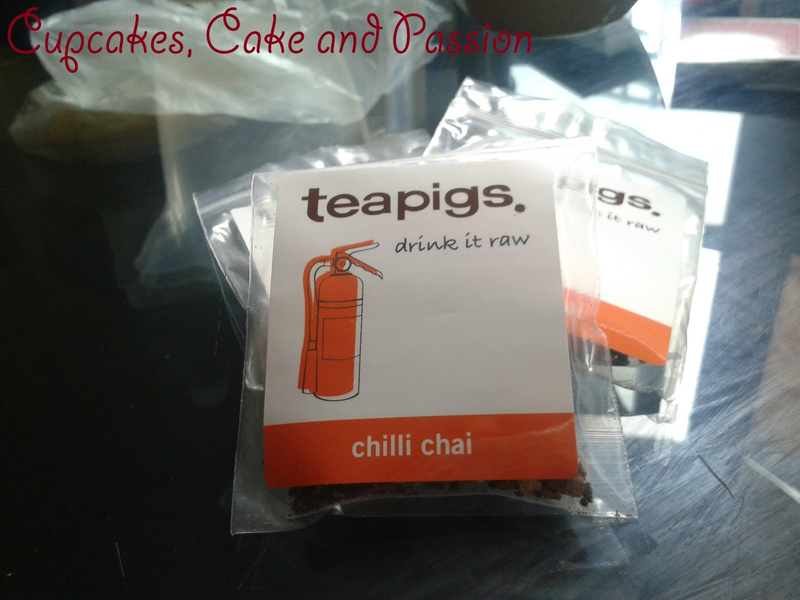 Place teapigs into measuring jug. You can have a friend trying to get into the shot. This is optional. 2. 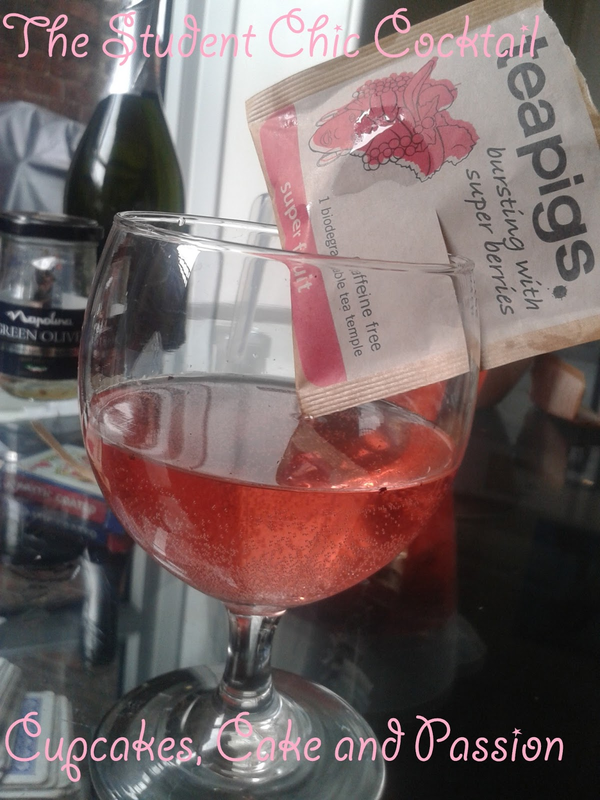 Let the teabags infuse with the wine until it turns pink. 3. Serve with strawberries, raspberries and red berries. Or nothing if you're a lazy students. 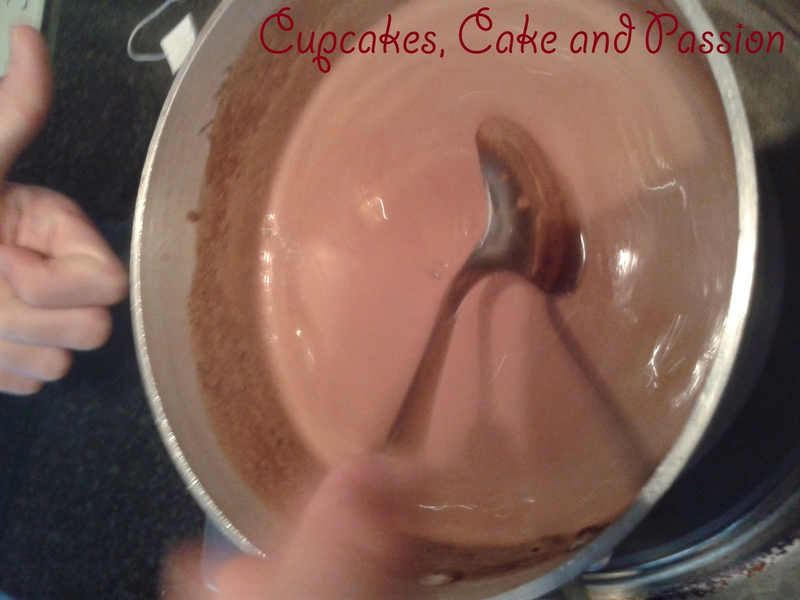 This next recipe came to me as a suggestion from a work mate (thanks Lucy!) . 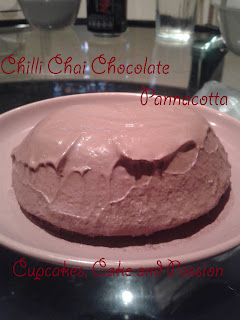 Chilli and chocolate goes down surprisingly well, who would have guessed. Going along with the lazy student theme, pannacotta is quite an easy dessert, it took 30 minutes to prepare and make. Mind you it takes forever to set but its chocolatey goodness is worth the wait. 1. 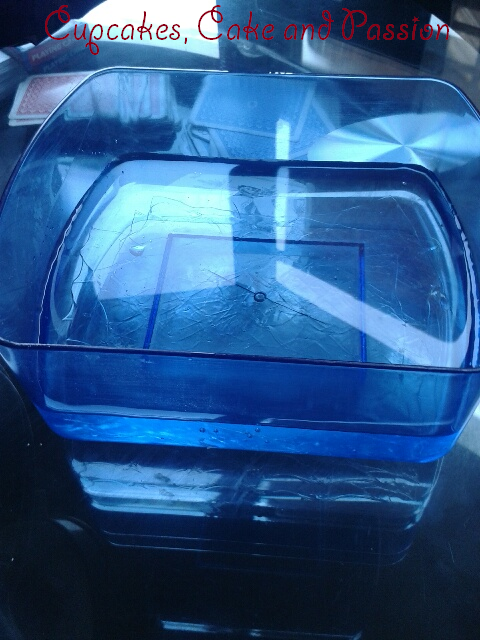 Soak the gelatine in a small with cold water. 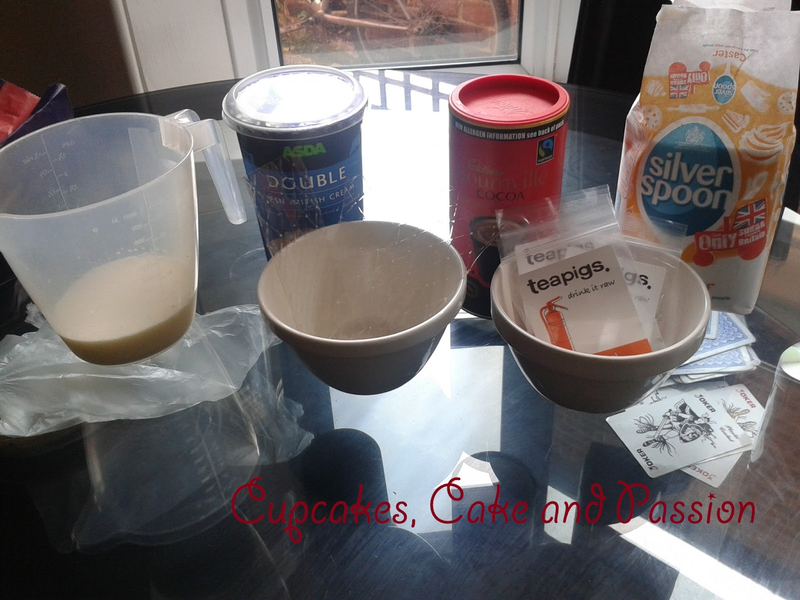 Make sure that it is cold water as if the water is warm the gelatine will dissolve and become useless and no-one wants to waste ingredients. 2. 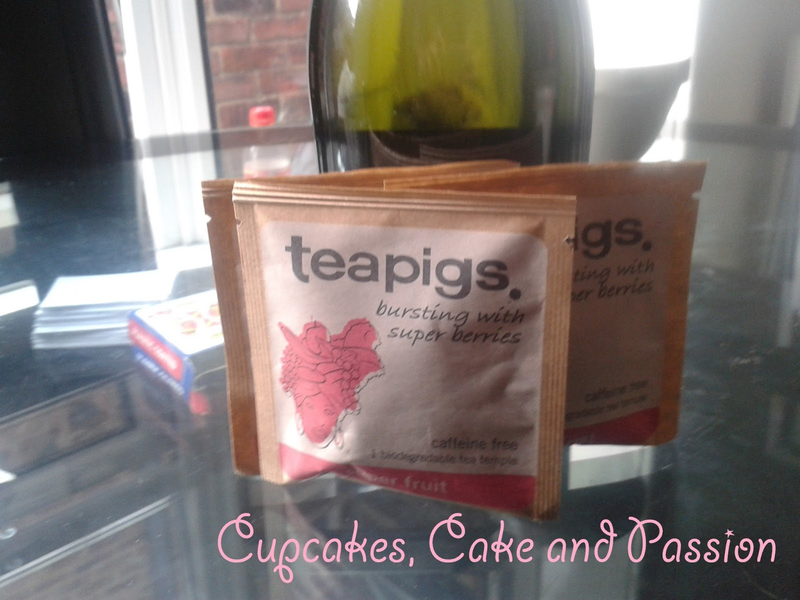 Cut open the teapigs tea bags, empty contents and set aside. 3. 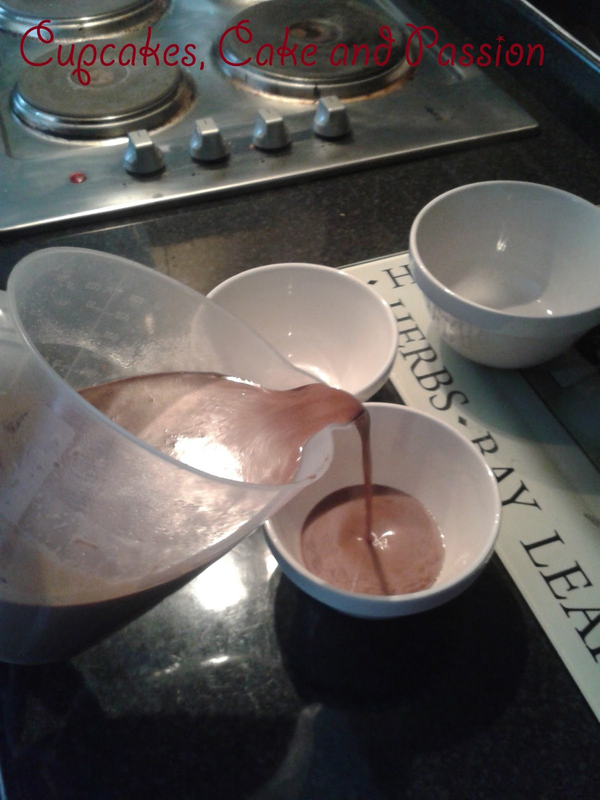 Add the cream, milk, the chilli chai and cocoa powder into a saucepan and mix until combined. Step 4. 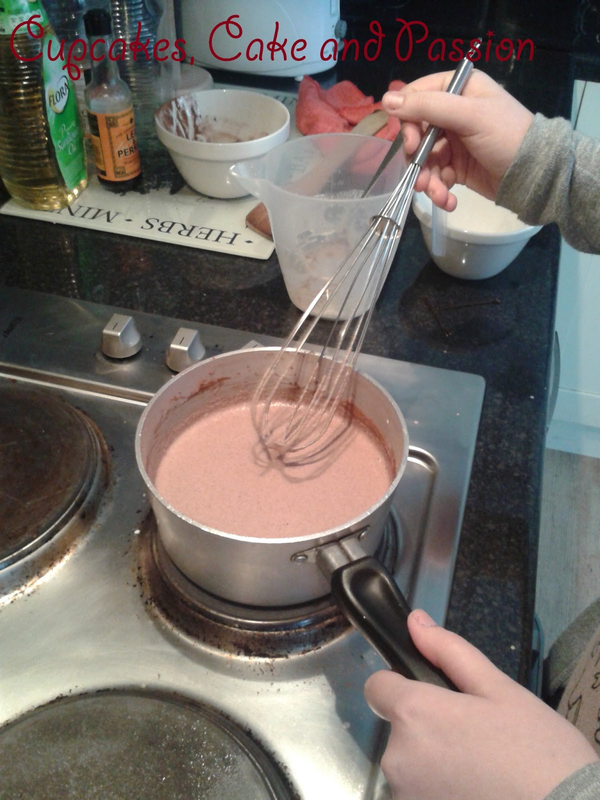 Take off the the heat and stir in sugar and gelatine. 5. 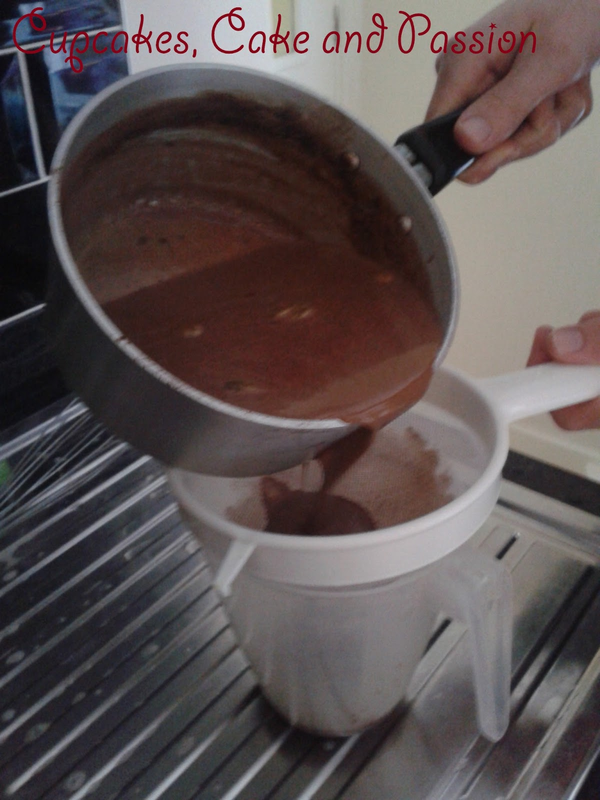 Sieve the mixture into a measuring jug. This removes the tea bags contents. 6. Let the pannacotta mixture cool for a few moments before pouring into the Dario moulds and placing into the fridge for about 1 hour or until set. Or if all else fails just slam it on the table aggressively until the pannacotta comes out. It looks a little smashed but it tasted great! Another thing I'd like to mention that, is I'm going to Disneyland Paris for the 5th time. (Greedy girl!) But this time I'm taking my good friend Sofia with me, who is completely delirious with excitement, as am I! I'm so excited that I really wish I had the time to make these Disney Princess Cakes to celebrate tomorrows departure to Euro Disney! In fact I've got a cute little princess-y siggie in celebration! Bake and Princess On !